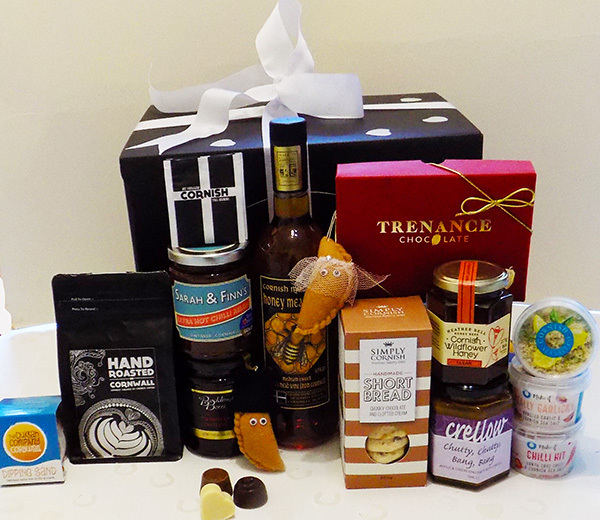 Our Cornish Wedding Hamper brings the unique flavours of Cornwall and a little bit of Cornish fun! A super hamper for the Happy Couple containing the traditional Honeymoon drink of Cornish Mead! The Cornish Wedding Hamper is presented in a Cornish classic black gift box decorated with swirls and twirls of beautiful white ribbon. Just like a St Piran’s flag with delicious surprises inside! A hand written Cornish themed greetings card is also included for your own personal message.